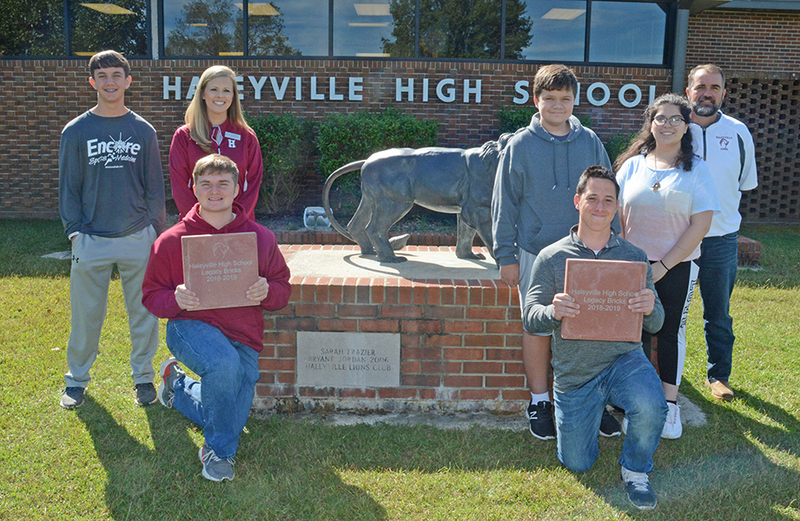 Taking ideas from similar projects in other areas-such as paver bricks inscribed in honor or memory of alumni--school officials developed this project, which would be a partnership not only with the community but the drafting class of Jamie White, which will do the inscriptions on the bricks. The paver bricks are being sold in two sizes--a 12X12 for $50 and a 4X8 for $35. The public can also add the inscription of a lion head to the brick and a paw, each for an additional $5. The brick can also have any inscription that the person purchasing the brick chooses in honor or memory of any teacher, administrator, alumni from the community. Paver brick application forms can be found on the high school’s Facebook page as well as at the high school main office, center of technology office or central office, Dr. McCoy said. The application also gives space for the one purchasing the brick to put name, number, address, mark the size and extras wanted for the brick, mark whether paying by cash or check then give the design or text for the brick. There is no deadline for purchasing the bricks, since this is an ongoing project to add paver bricks to form a walkway from the sidewalk in front of the cafeteria all the way to the lion mascot statue area.